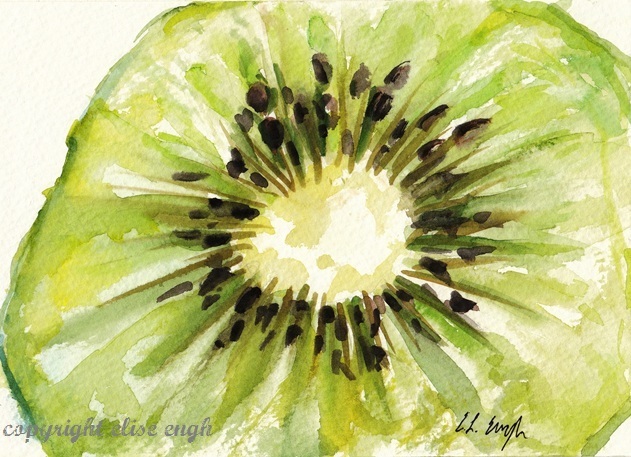 Elise Engh Studios: Kiwis Anyone? 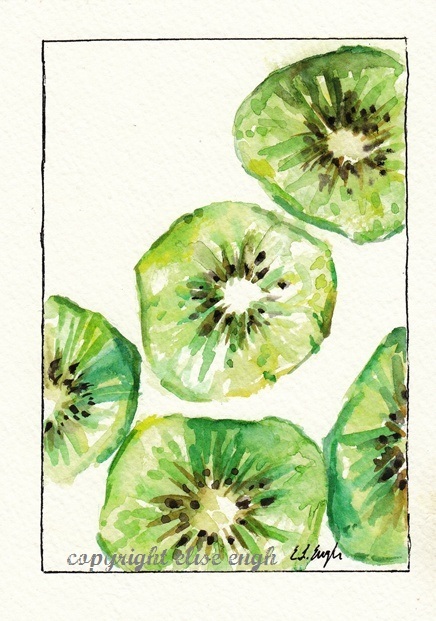 Have you ever looked at kiwis up close? They really are beautiful fruits on the inside. The outside...not so much, but I guess that's what makes them interesting. I sliced up a few last week and tried my hand a painting a few. 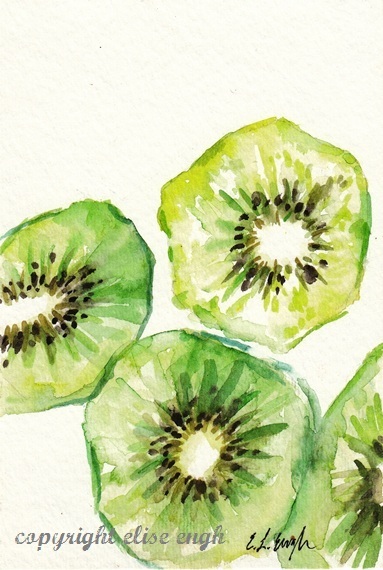 I think I will have to do more of these, they're such happy fruits! Once again, something I never would have thought about painting. But, they are pretty and summery!